I was on a road trip in the USA years ago, staying in cheap motels and surviving on those great big American breakfasts of waffles and pancakes. 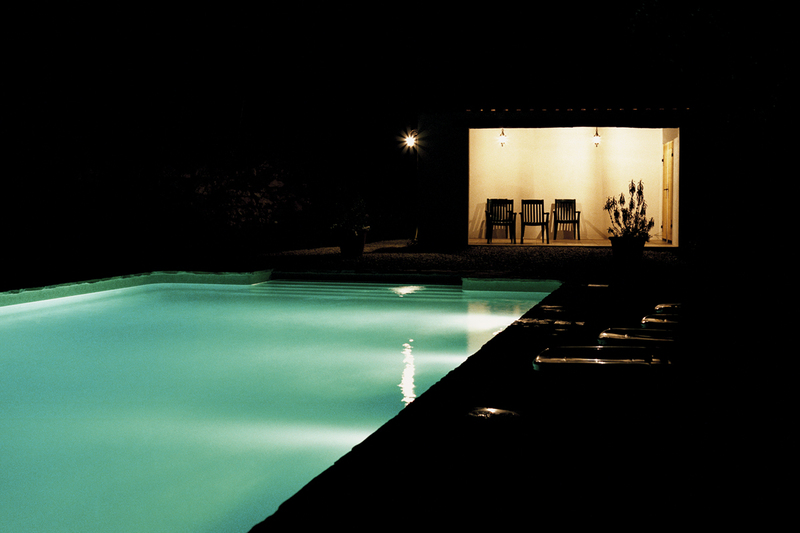 Arriving at dusk at Big Sur, California, I checked into a place nestled between the ocean and a dense forest. 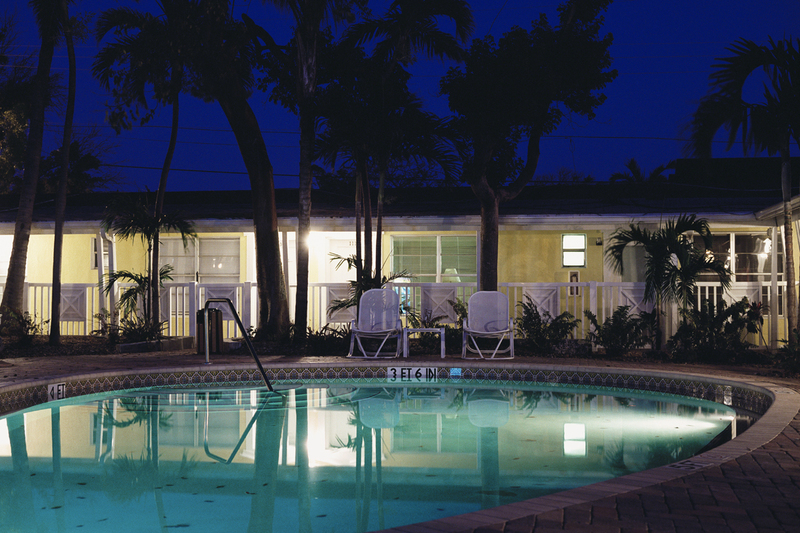 As night closed in, the motel took on a different, more sinister feel. 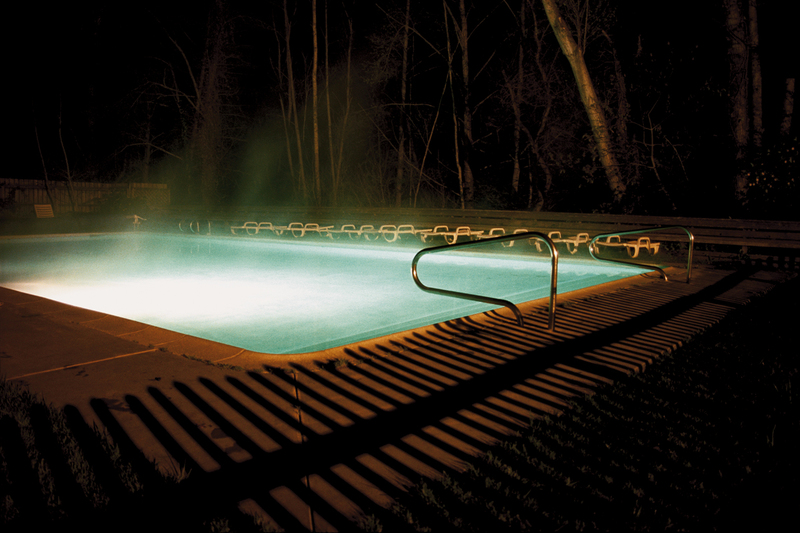 An open-air swimming pool stood alone, surrounded by the shadows of a picket fence. Steam rose from the water in the crisp, night air. 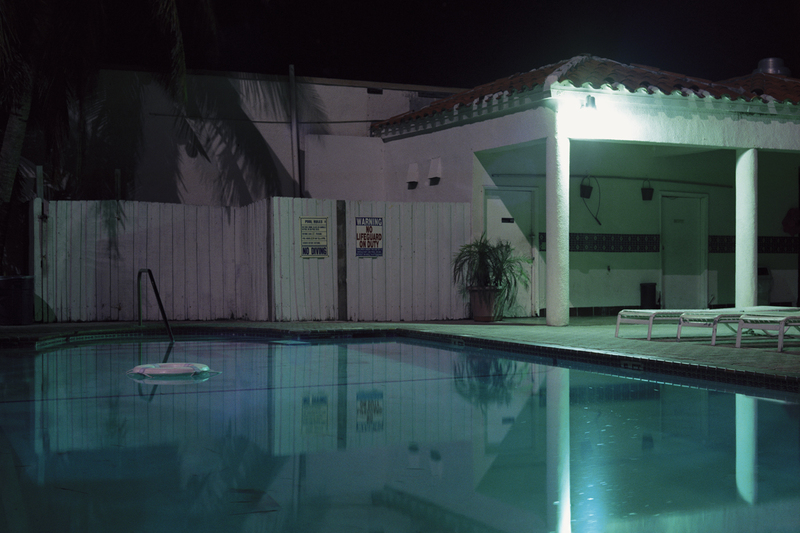 It evoked a feeling of mystery and intrigue, reminding me of a David Lynch film or Edward Hopper painting. 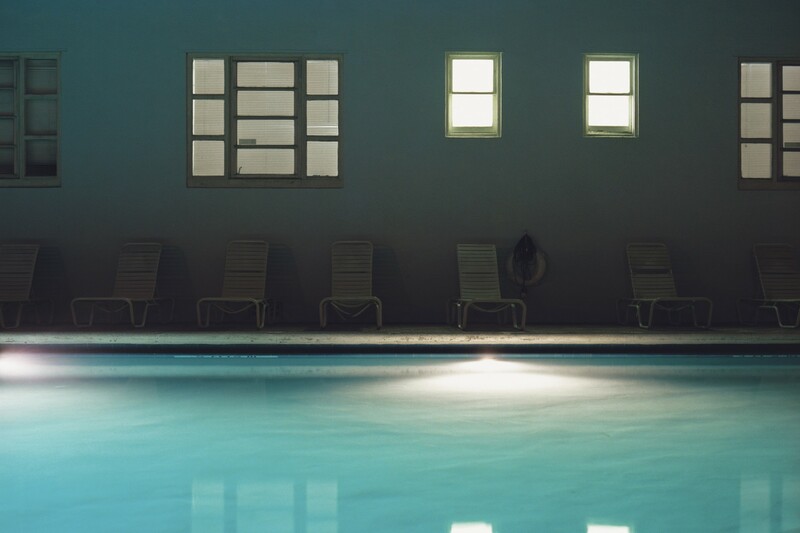 When I returned, it was one of my favourite images from the trip and I decided to work on a series of photographs of empty, open-air swimming pools shot at night. 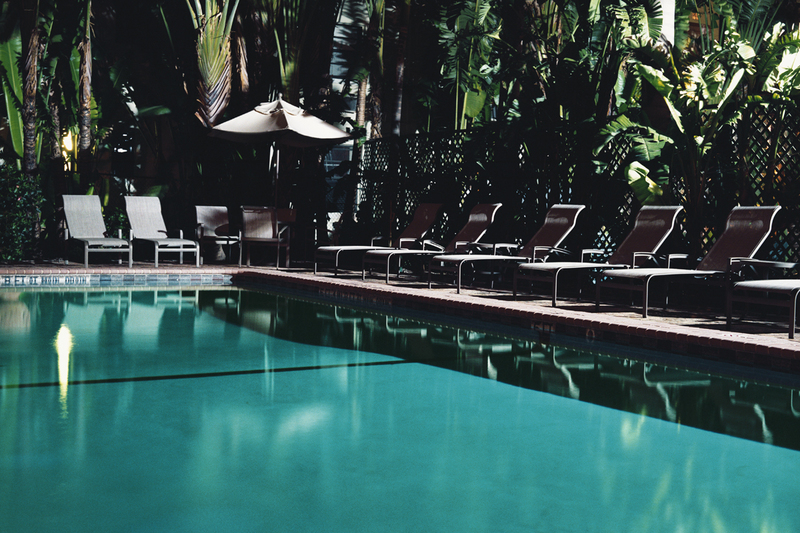 I was lucky to get my first solo show in London and secured Arts Council funding and was then commissioned by Time Out to shoot their Time Out Guide to Miami. 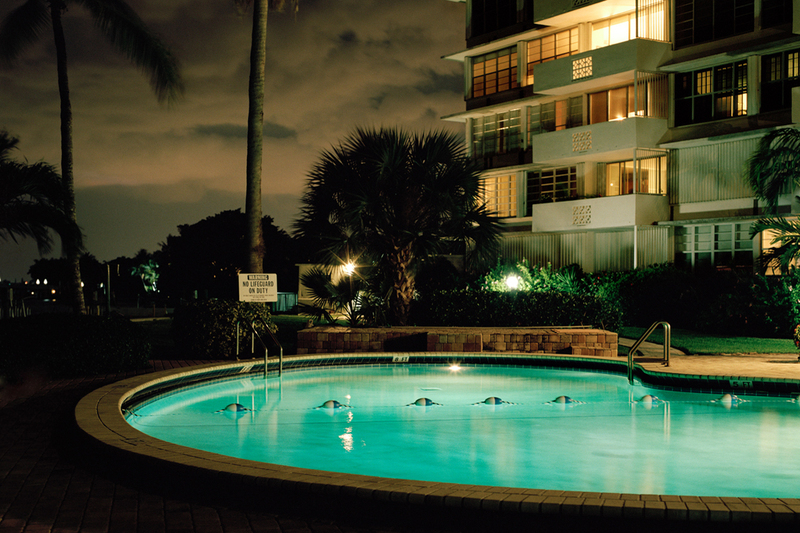 This was great timing for the pools project, as once I’d ticked things off the picture list for the day, I’d go out with my tripod and camera, roaming the streets and looking for outdoor pools to shoot. 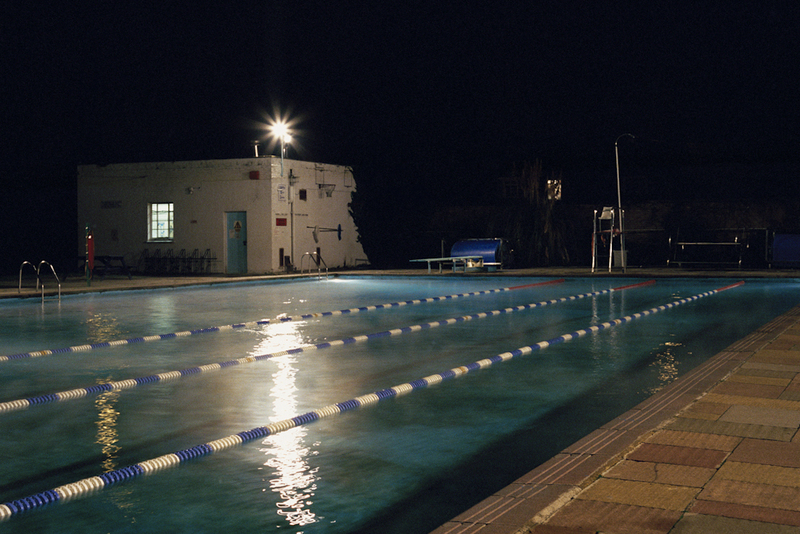 The final edit consists of pools in the USA, France, Spain and also some lidos in the UK.